More than half a century ago, a computer scientist named Lester Earnest invented the first program to check spelling. It was capable of grinding its way through documents to verify 10,000 common English words. Today, most spell-checkers validate more than a million words in a nano-second. With these advancements, many automated programs can also check for grammar faux pas, although they often miss errors, and they don’t grasp context, intention, or tone. Get the best of both worlds by downloading the Wordzen app. Real people — living and breathing professional American editors — work at Wordzen. Use the app to send your draft email to them with one click. Shortly, they’ll return a human-edited version that is not only grammatically correct, but also clear, concise, and revised to help you make your point with your intended reader. When you use Wordzen, the draft you send to our editors doesn’t have to be perfect. But just for fun, you might compose one as carefully as you can, paying particular attention to spelling, punctuation, and grammar. Then see how our editors can improve your message. You’ll be very pleased! Meanwhile, here are five common errors we frequently find in emails. You’re sure to have seen them in messages sent to you by friends and colleagues. This one can confuse even the best of writers because “its” feels like an exception to a grammar rule, but it’s not. 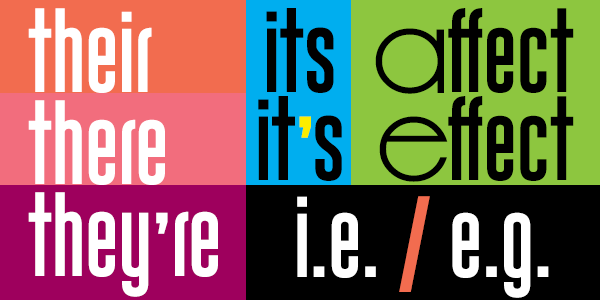 It’s is a contraction for “it is,” and represents a state of being. Correct uses: “It’s one thing to get a degree, but it’s something else to gain real mastery over a subject,” and “It’s almost dawn — let’s get some sleep!” To make sure you’re using “it’s” correctly, mentally substitute “it is” and if that sounds right, you’re done. If it seems wrong, remove the apostrophe. If you’re ever unsure about using “its,” then change “it” to whatever the word represents. For example, “Its blinker won’t stop” could be rewritten as “The car’s blinker won’t stop.” This approach might present less confusion. These words are confusing because they sound alike and are used in similar circumstances. Effect is often used as a noun and occasionally used as a verb. If you find this confusing, take comfort in knowing that you’re not alone. If you’d prefer to avoid using effect as a verb, you can often substitute “make,” “cause,” and sometimes “force” instead. Re-read those examples using these substitutions, and you’ll see that the meaning remains intact. Although you’ll see some people using these abbreviations as if they mean the same thing, they are not equivalent and should not be used interchangeably. 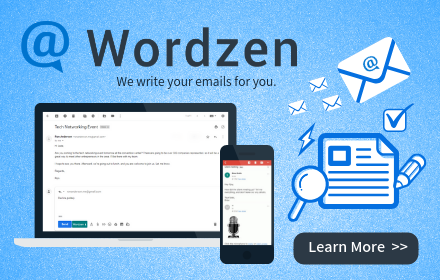 Knowing how to avoid grammar pitfalls can make you a better writer, but if you’d like the same results in your emails without investing more of your time, look into a Wordzen subscription. It’s an easy way to hire an entire staff of professional editors for just a few dollars a day.